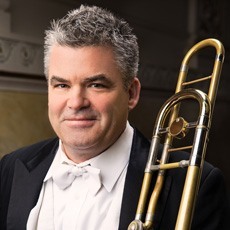 The Cleveland Institute of Music announced today that Peter Sullivan, principal trombone of the Pittsburgh Symphony Orchestra, will join Randall Hawes, bass trombone of the Detroit Symphony, to teach its trombone students in 2019-20. Hawes has been a member of the CIM faculty since 2016 and is serving as interim head of CIM’s trombone department. The artists will collaborate to provide elite-level teaching for the Institute’s trombone majors and bring to Cleveland impeccable experience as orchestral, chamber and solo performers. Read the latest and previous issues of Notes magazine!